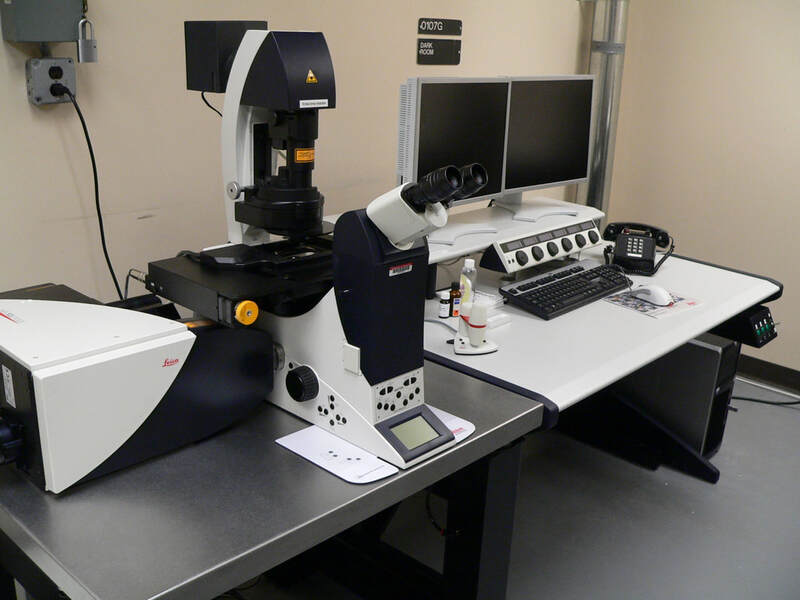 The Imaging Core (IC) provides researchers with the opportunity to image live, fixed, unlabeled or fluorescently labeled samples using one of several available microscopes. Services include training on all equipment, guidance on experimental design, and technician-assisted microscope operation. Ideal for imaging diverse fluorophores in fixed and live samples. Lasers include: 405nm, argon (458, 488, 514nm), and White Light (470-670nm, tunable in 1nm increments). System is equipped with a low-noise hybrid detector, motorized x-y stage, environmental chamber, and resonance scanner for high-speed imaging. Ideal for imaging fixed, live (room temperature), single or multi-labeled samples. 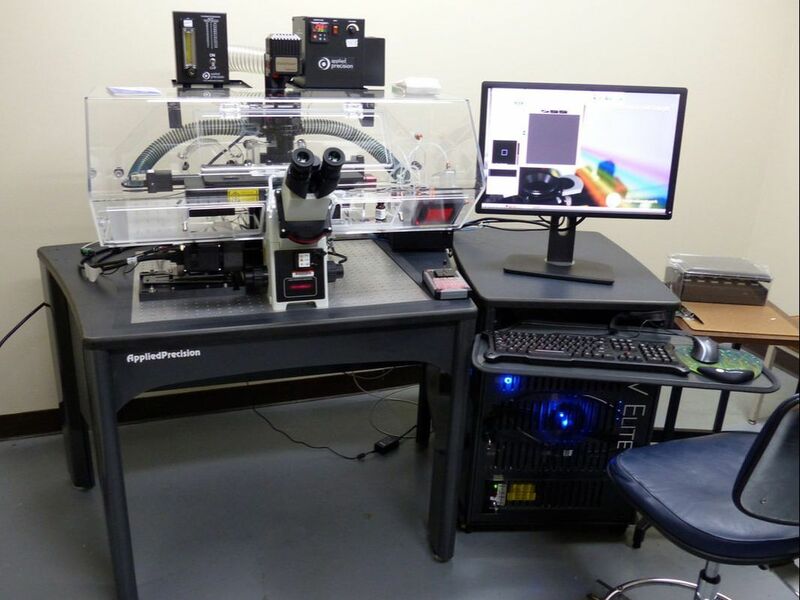 System is equipped with a manual stage, 3 light detectors, and 6 major laser lines (405, 458, 488, 514, 561, 633nm) Suitable applications include colocalization studies, immunofluorescence, FRAP and time courses. 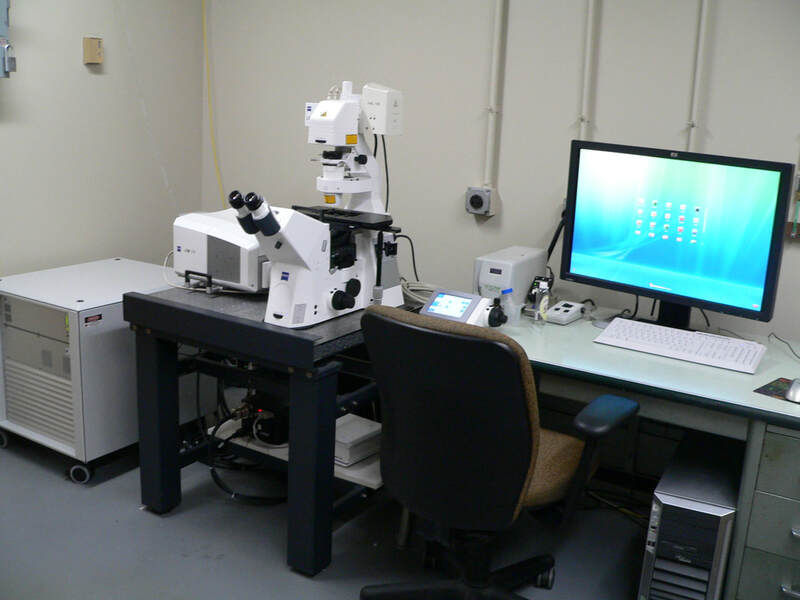 The DeltaVision is a 3-D deconvolution system with 488 and 561nm lasers for TIRF (total internal reflection microscopy). Features include motorized x-y stage, environmental chamber, and epi filters for DAPI, CFP, GFP, YFP, dsRed, mCherry, Cy5. The system excels at imaging "small, dim, live" samples. Inverted microscope equipped phase contrast, standard fluorescence filters (DAPI, GFP, DsRed, CFP, YFP), and monochrome camera. Suitable for imaging of bacteria and thin fluorescently labeled samples. 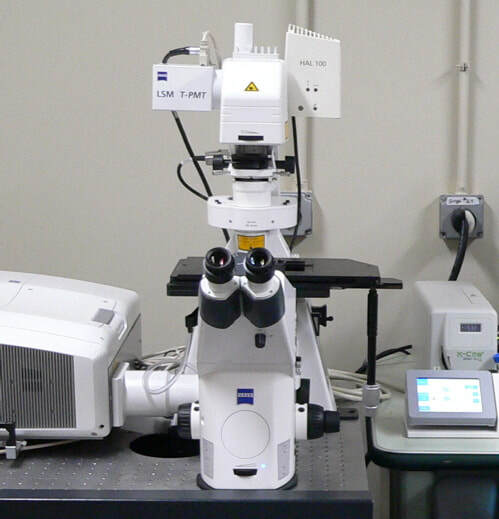 Two long-working distances lenses (20, 40x) and 96-well plate stage adaptor allow for imaging of cells in culture.